This is a picture of the first part of my math lesson this morning. That's right - the students are not at their desks and seem to be wandering around the room! That is because they are - well not wandering - they are hunting down the hidden Hershey Kisses! Before the students came in this morning I had hidden (not too hard!) 2 bags of Hershey Kisses (that is about 100 Kisses). Some students noticed them pretty quickly but we held off talking about them until after announcements and morning routines - it was hard!! 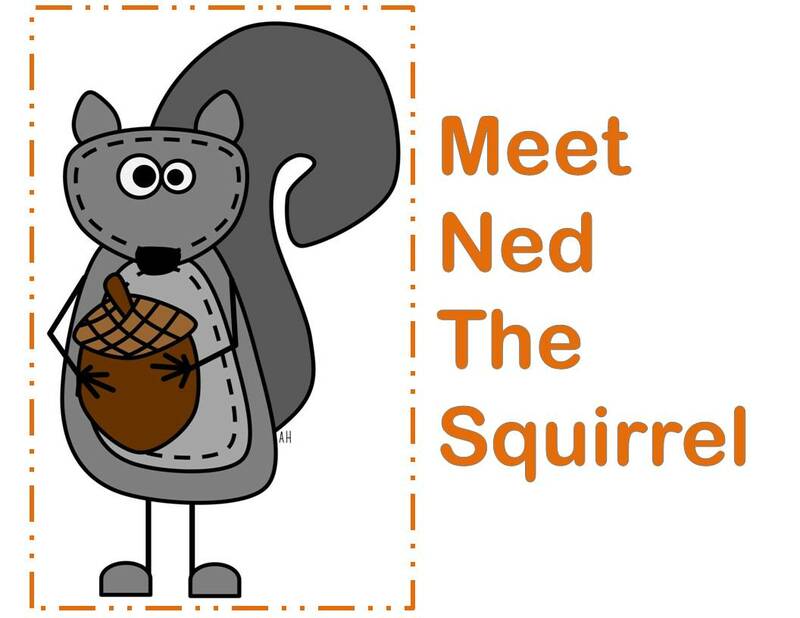 We talked about our friend Ned the Nutty Squirrel (from my graphing unit) and how he loves to stash acorns and thought it would be fun to stash some in our class too! Only kids don't like acorns so he used Kisses (they kinda look like acorns). I gave the students 2 minutes on the timer to collect as many as they could (without running or going in off limit areas - desks, drawers etc). After the 2 minutes we headed to our desk and collected the data - how many Kisses did you collect! 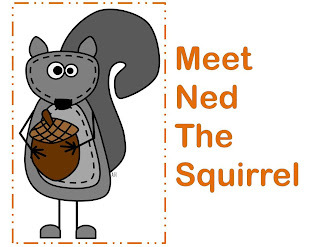 (Ned the Squirrel loves collecting data almost as much as collecting Nuts!). We used our data to create a line plot graph. This was our first attempt at this type of graph. We used the data to find range, mode and median as well. This is one of the activities I suggested as a launch activity in my unit - there are so many possible ways to graph the data. I think this would also be a great activity to do with Easter Eggs! Here is our messy data collection. Afterwards we ate our Kisses! Completed the quizes on Mode, Median and Range on Study Jams that go with the videos we watched yesterday. We made another class line plot - using how many pets we have (living not dead - this took 5 minutes to clarify!). Finally we finished up with this super fun little activity from Kristen Kennedy - it is a freebie! (Bad picture - fun activity). Click on the pic to head to her store to pick up a copy! Today we also worked on peer editing of our paragraphs. I found this fun little freebie for peer editing. It comes with the mini-poster sheet and 3 different pages for students to record their feedback. G - give them a positive suggestion. We brainstormed some sentence starters, talked about how to give specific feedback - not it was good, I liked it. We also talked about positive feedback vs. negative feedback (You might want to try printing neater vs. Your printing stinks). They did a great job!! I read through all of their feedback before letting them share it with the writer. 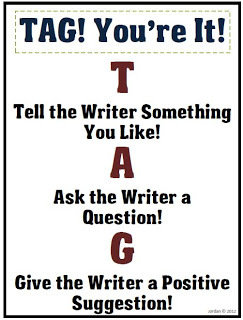 You can get a free copy of the TAG peer editing package by clicking here. It is from Ms. Jordan Reads. Below is one of my student's paragraphs. He brought an axe to the deserted island as one of his three items - good choice - but later he uses it to chop down trees and make a wi-fi tower so he can play his ipad! 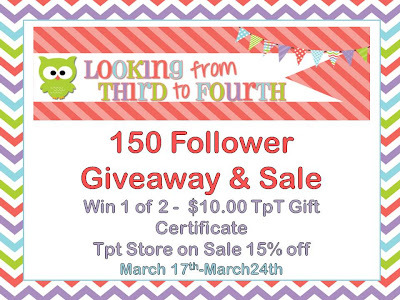 If you made it this far you might as well head over and enter my giveaway. Click on the pic to get there fast. I love using TAG with my students when we peer edit. I have them jot their TAG on a post-it to give to the person they are sharing with. Love that math idea! I am sure they loved being up and out of their seats! They always love being up and out of their seats - I like when it is because they are learning something!! Great activity for mean, median, mode and range! We will be starting that soon and I can't wait to use your freebie:) Thanks!!! I love finding freebies that happen to be exactly what I need at exactly the right time. I was super happy when I found that one!